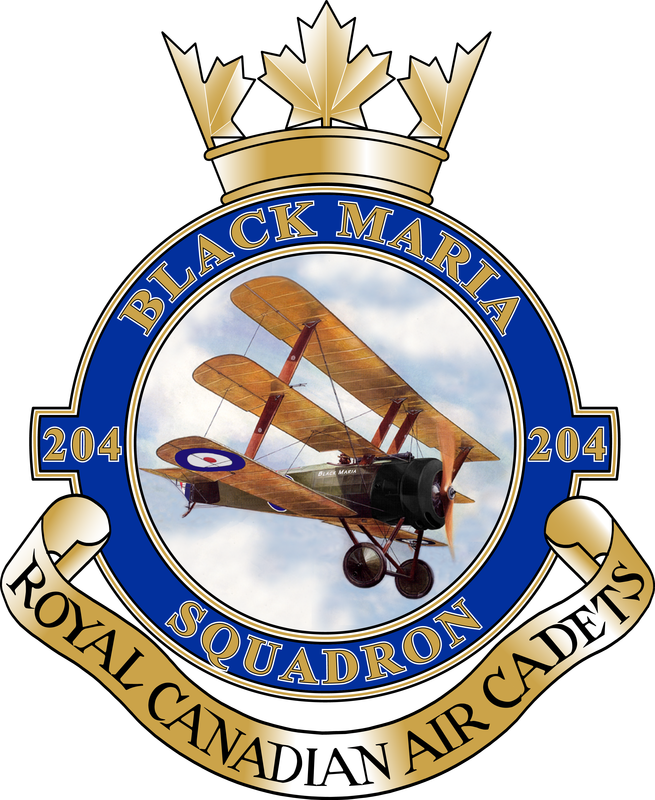 ​204 Black Maria Squadron is the only Air Cadet squadron in Kamloops, British Columbia, based out of the old Westsyde Elementary School building on Westsyde Rd. Regular training is on Monday nights, with band, drill and other activities at other times during the week. The Royal Canadian Air Cadets is one of the three elements of the Canadian Cadet Movement, a national youth program for people aged 12-18. These aims are accomplished through weekly training during the school year, summer training courses and through extracurricular activities. The Canadian Armed Forces provides funding and training to the Canadian Cadet Movement with the help of the civilian sponsor, the Air Cadet League of Canada. Cadets are not members of the Canadian Armed Forces nor is there any requirement for military service.